Bing vs Snyder Who’s For Us? I had a great blog that I was ready to share with all of you when I got a media alert from the City of Detroit. That alert was shared on Facebook as well. They wanted everybody to know that Mayor Bing has had it! Mayor Bing has stated that he is not in favor of Governor Snyder’s Consent Agreement plans for the city of Detroit. In fact, Bing claims Snyder has been disingenuous the whole time. WOW, YOU DON’T SAY?! I admit it. I was ready to blast Mayor Bing for giving up on recovering $220 million in funds that he said was owed to the city by the state. Also he was ready to accept state assistance in handling Detroit’s current financial crisis citing several meetings with Governor Snyder. All that has changed now and the Governor’s plans have been exposed. Mayor Bing is so upset that the word “disingenuous” appears often in this media alert. If you go to thesaurus.com and punch in “disingenuous”, you get the following synonyms; deceitful, artful, cunning, tricky, false, dishonest, sly, unfair, two-faced, underhanded to name a few. The word “disingenuous” appears in three out the six paragraphs comprising the media alert! Governor Snyder must be one disingenuous rascal! I knew that from day one. 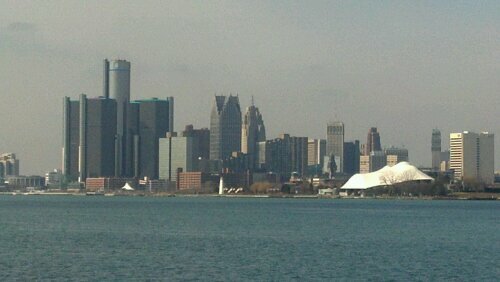 Detroiters do not want a state takeover but I feel it may be in evitable in some shape or form. The city is still losing money and people are still losing jobs. Nobody trusts Governor Snyder but we may have no choice. Holla if you hear me! Posted on March 14, 2012 by KELLY GREENE	• This entry was posted in Politics, Uncategorized and tagged city of detroit, Consent Agreement, Governor Rick Snyder, Mayor Dave Bing. Bookmark the permalink. This man (Snyder)has had in for this from day one and it this for the Mayor to stand up for our city? Can not wait to see what happens next. Love your blog kelky this one really rock!! Thank you soooo much! The next 10 days are going to be real interesting!